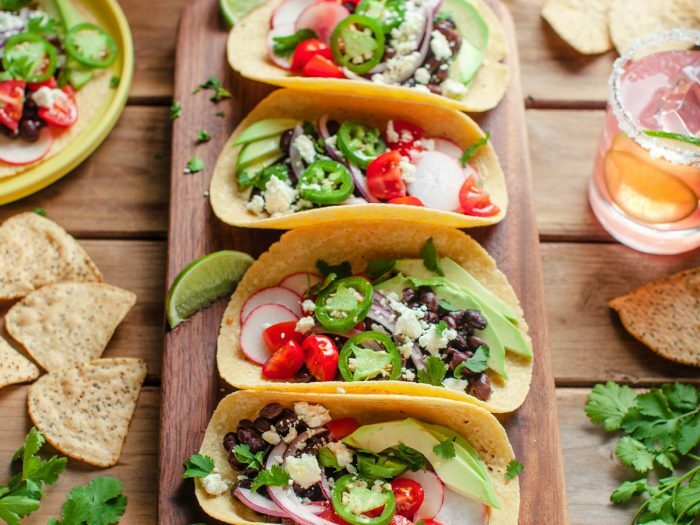 Black Bean TacosCelebrate cinco de mayo with these vegetarian black bean tacos! They take less than 30 minutes to make and are so worth it! 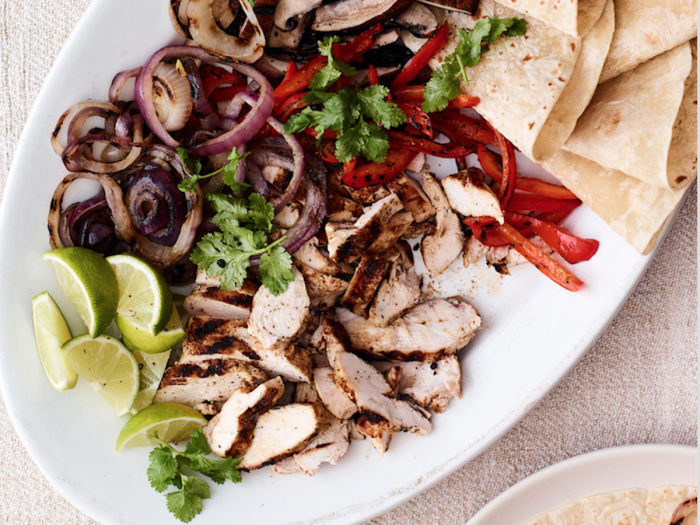 Enjoy alongside a margarita and some salsa. 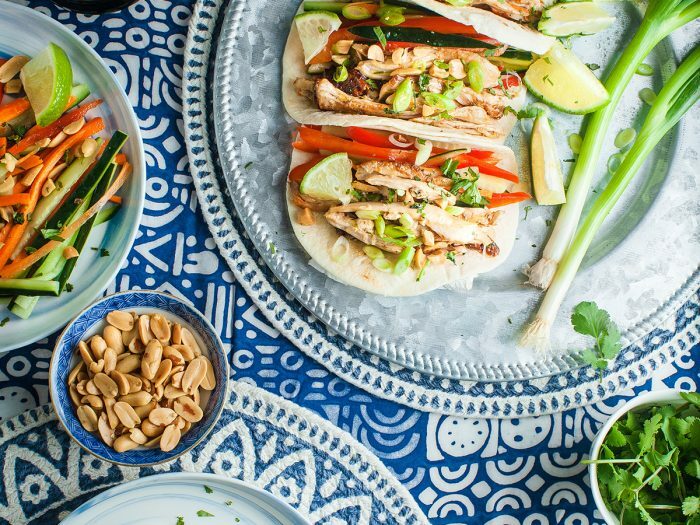 Thai Chicken WrapUse your leftover chicken from our Thai chicken dinner to make these delicious Thai chicken wraps! Not only is this a super filling lunch, it only takes 15 minutes to make! Bison and Bean ChiliIt's official sweater weather, which means it's time for sweater whether food. 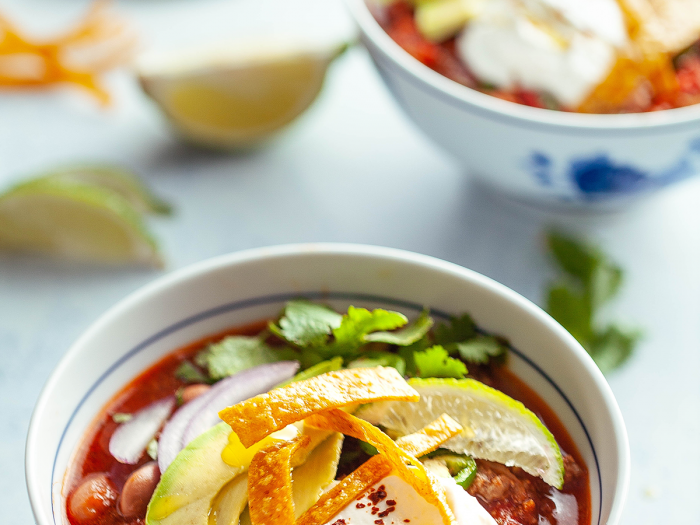 The best thing about this bison and bean chili is that it's simple and you can customize it to your taste. 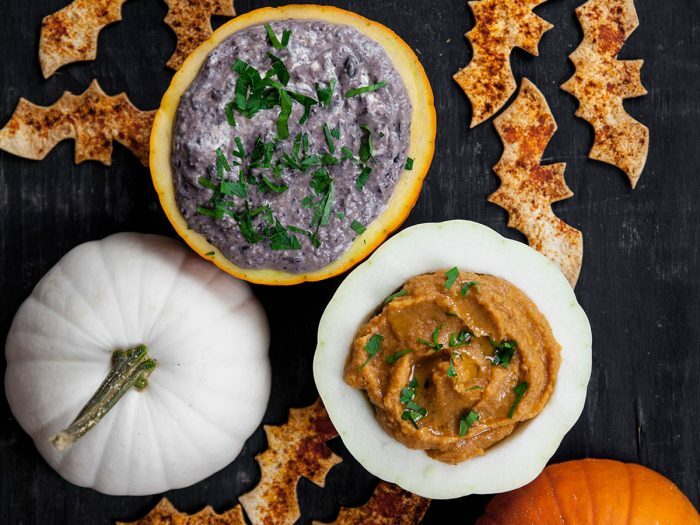 Caramelized Onion Black Bean Dip with Bat ChipsMake this spook-tacular dip for any Halloween Party! This caramelized onion black bean dip will be gone in minutes, thanks to the tasty flavors of a vidalia onion and Colavita Balsamic Vinegar. Make the bat chips for an extra touch! Build Your Own Chicken and Vegetable FajitasSometimes, it's easier to get dinner on the table and have everyone "make" it themselves, but it's also more fun for everyone, with exactly what you want!